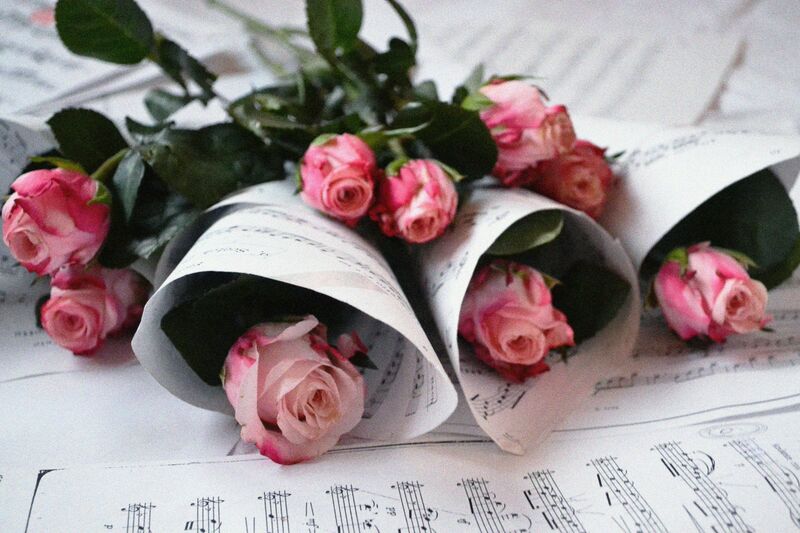 Ovoga puta su mi na meniju bili kapkejkovi. 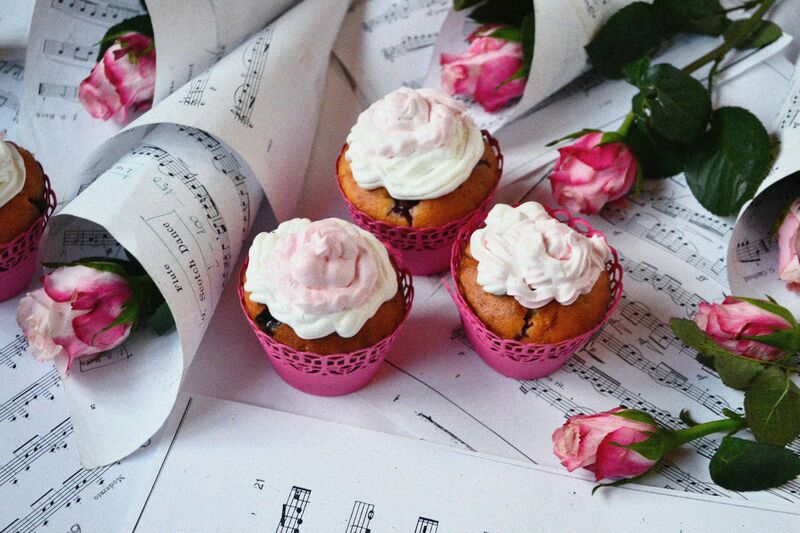 This time cupcakes were on my menu. 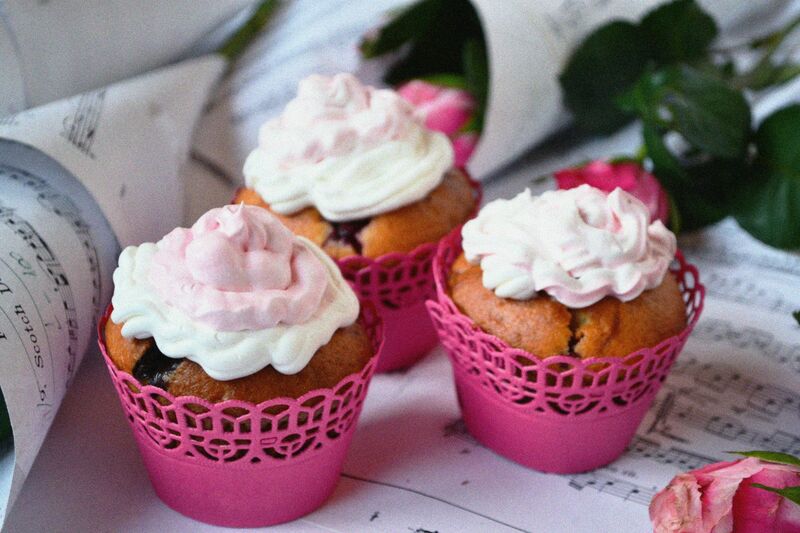 cream, but it didn't turned out as well as I expected, maybe I'll have more luck next time. 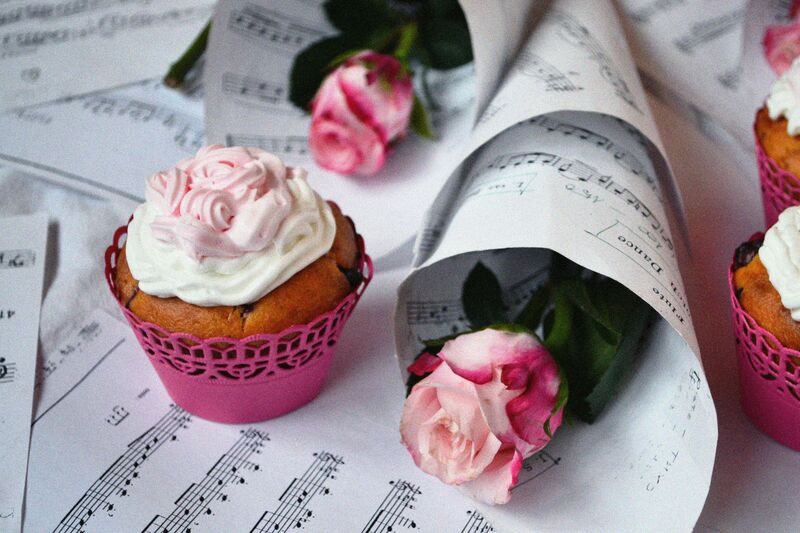 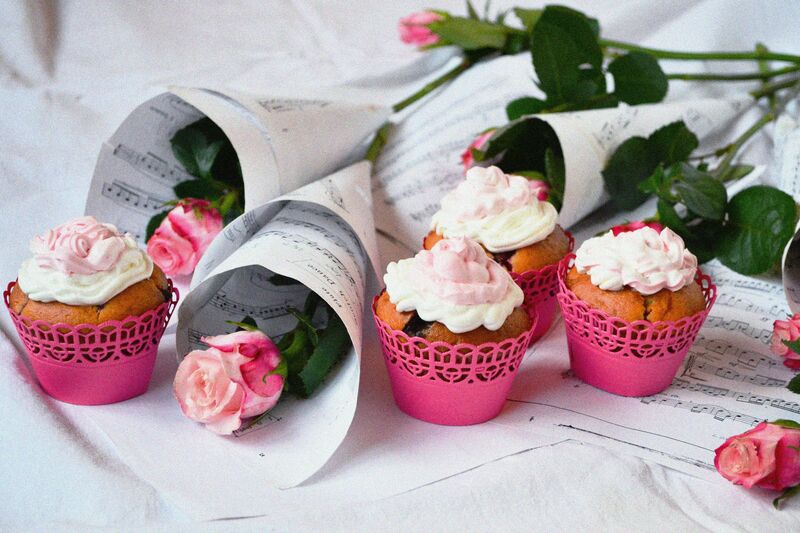 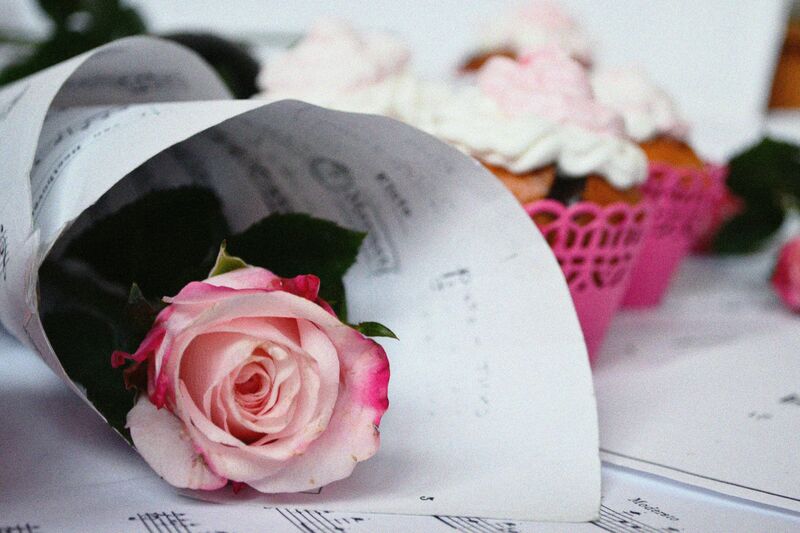 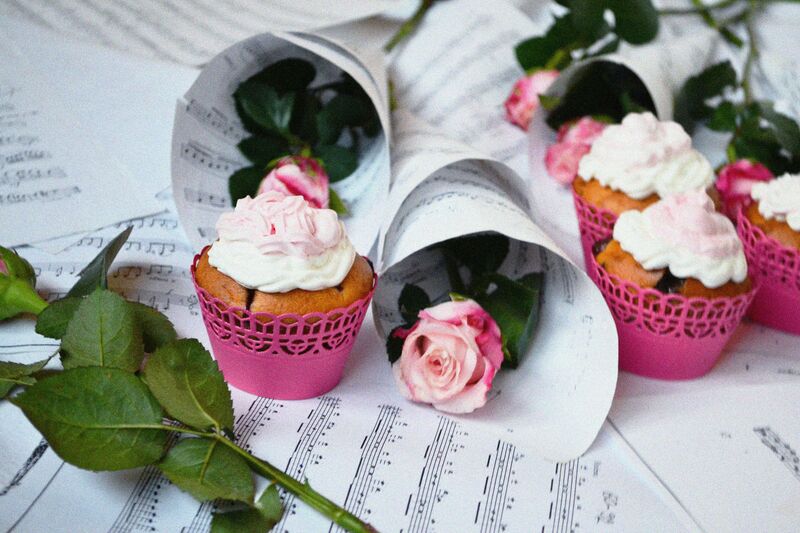 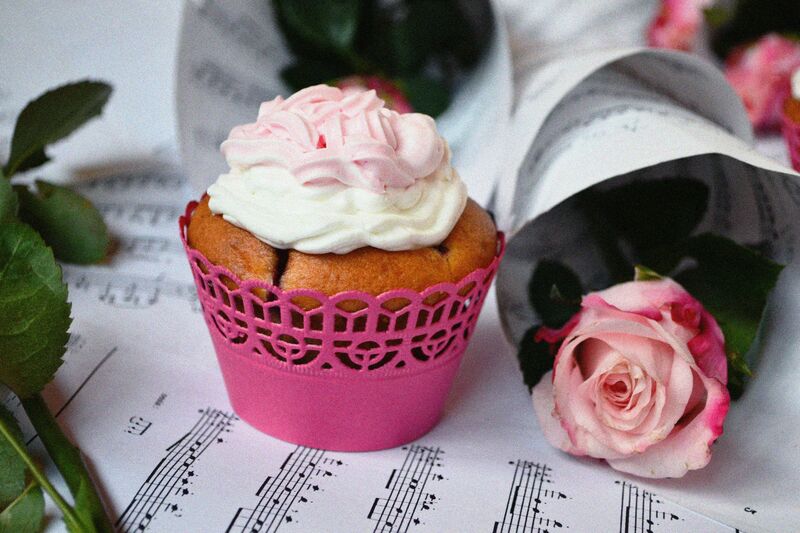 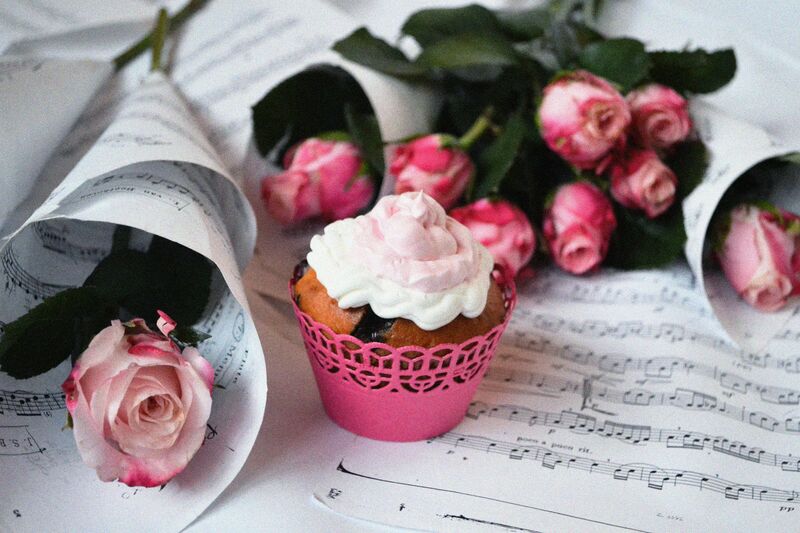 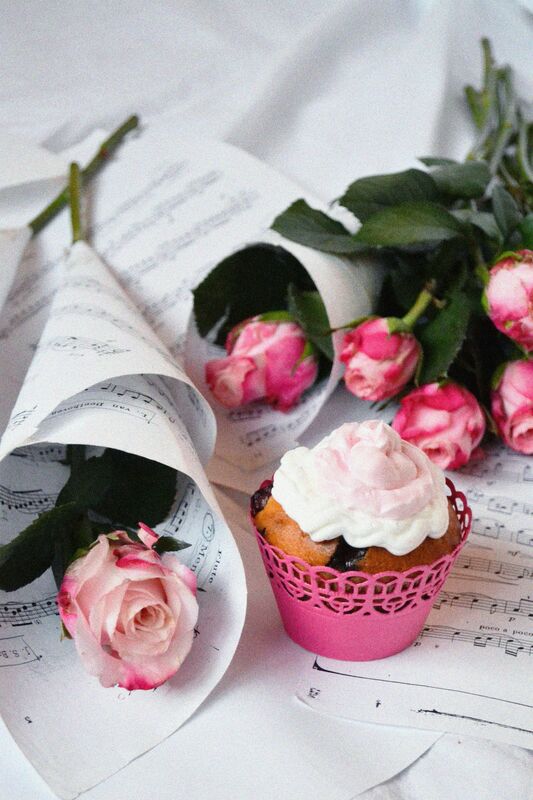 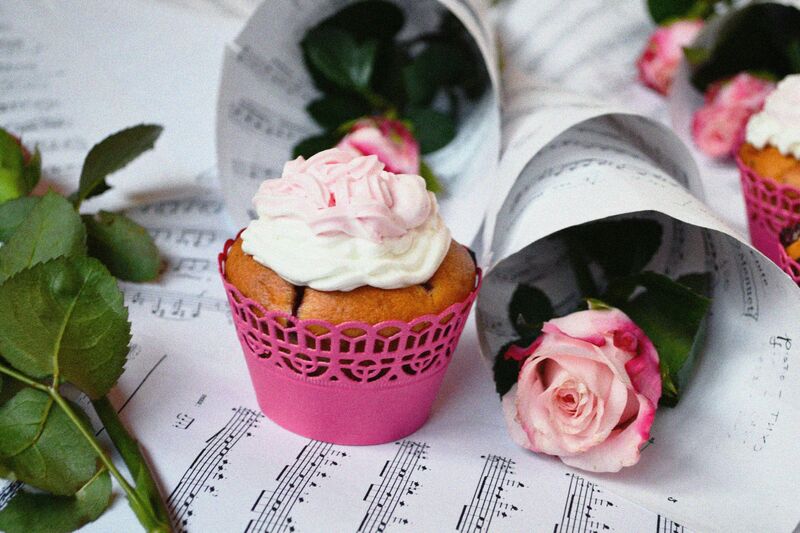 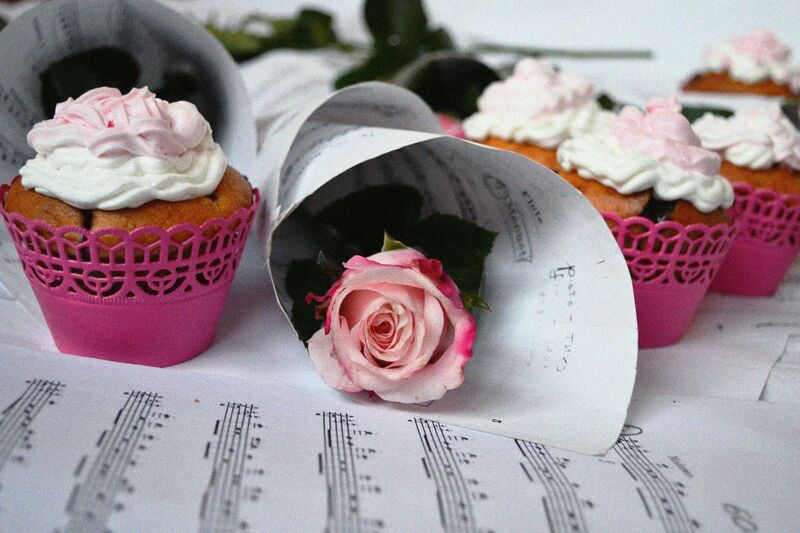 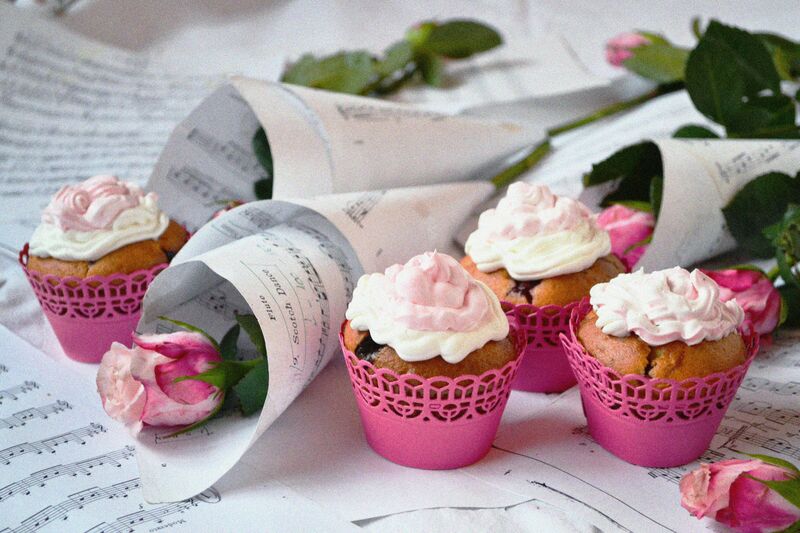 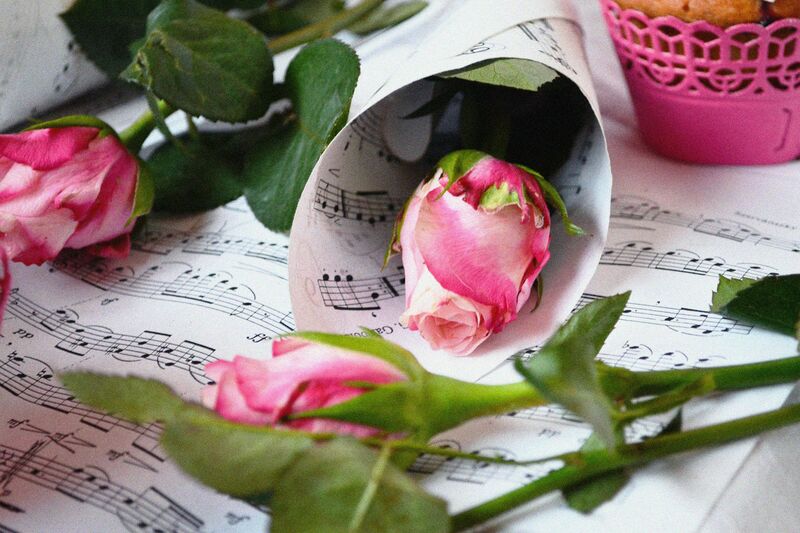 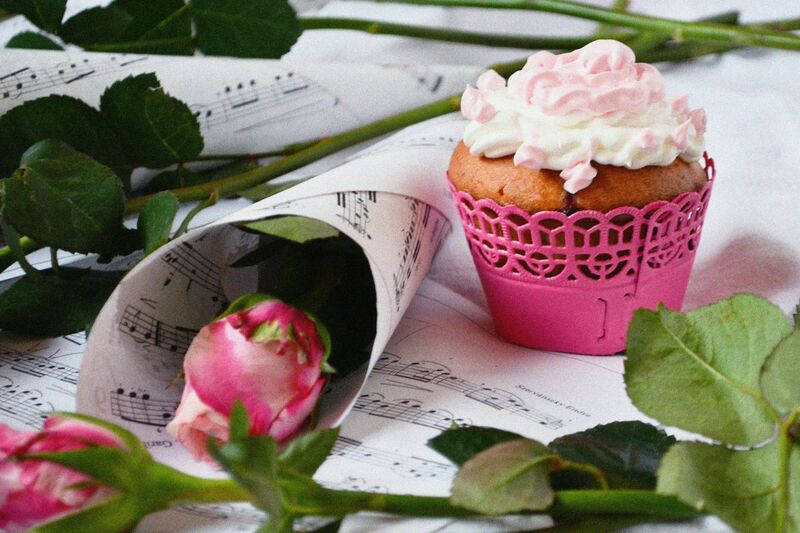 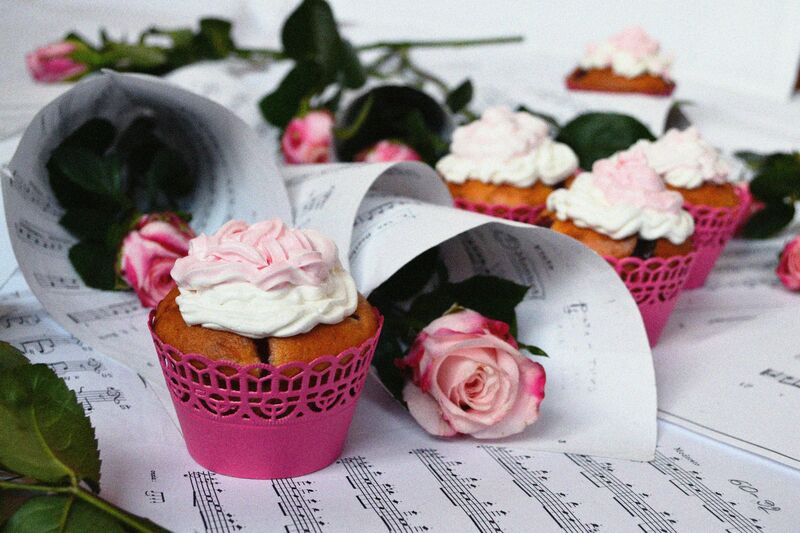 The most important thing is that they were delicious and these beautiful roses and my notes from the old days when I was still playing, made the decoration look even better.